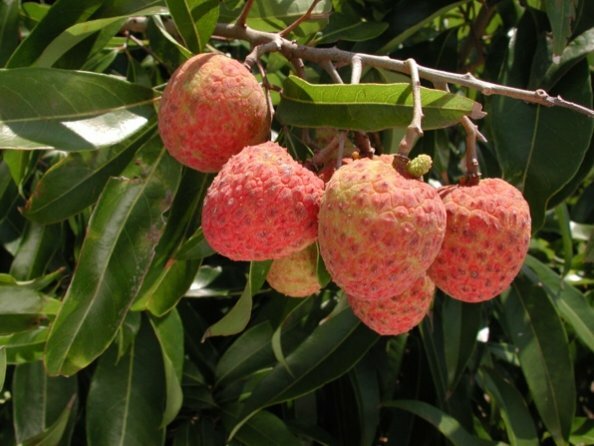 'OHIA' IS AN EXCELLENT TASTING LYCHEE THAT IS LARGE WITH A RELATIVELY SMALL SEED. THE TREE IS AN IRREGULAR PRODUCER FRUITING EVERY TWO OUT OF THREE YEARS. IT HAS ENJOYED LIMITED COMMERCIAL SUCCESS IN SOUTHEAST ASIA, BUT REMAINS RELATIVELY UNKNOWN IN THE UNITED STATES.